In August of this year we moved to Cholula/Puebla, Mexico to plant a new church. Cholula and Puebla are cities located side by side southeast of Mexico City, Mexico. Cholula/Puebla has a population of between 3 and 4 million. Besides being sharing its name with a great-tasting hot sauce, “Cholula” is also the site of one of the most important universities in Mexico, UDLA, the University of Latin America and the home of the successful CMF Globalscope campus ministry. CMF’s Globalscope campus ministry has been transforming the lives of hundreds of students during the last 6 1/2 years, with 80-100 attending their weekly Bible Study fellowship, but they have not found a church family with the same or similar atmosphere, doctrine or beliefs, or style of worship, The Globalscope missionaries and several students have prayed for nearly 7 years for this type of church in Cholula. Many of the university students and graduates still living in the area have expressed a spiritual hunger to take the next step in their spiritual lives. 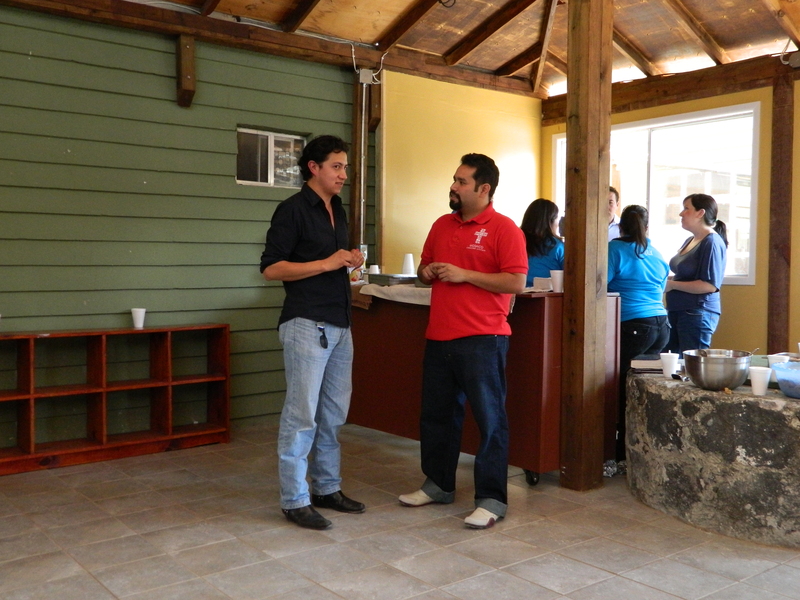 They have shared that El Pozo, the Globalscope campus ministry, is fun and they have grown a lot in faith and community, but they want to be a part of a healthy growing community of believers in Christ made up of people of various ages. Most of Mosaico Christian Community's core group. 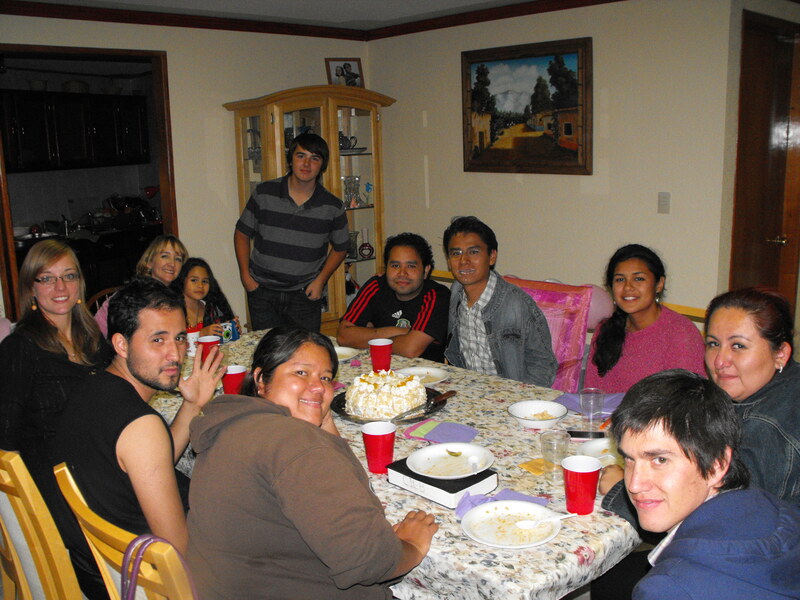 Tonja, Lizzet, and Mitchell are in the back, then Carlos, Corazon, Andrea, Radayr, Ramon, Elsa, Victor, and Deborah. Beginning with these Christ-following university students and recent graduates as a core group, we desire to fulfill Christ’s commission to make disciples and plant Christ’s church in Cholula. Carlos is encouraging Ricardo to come and form part of the Mosaico. 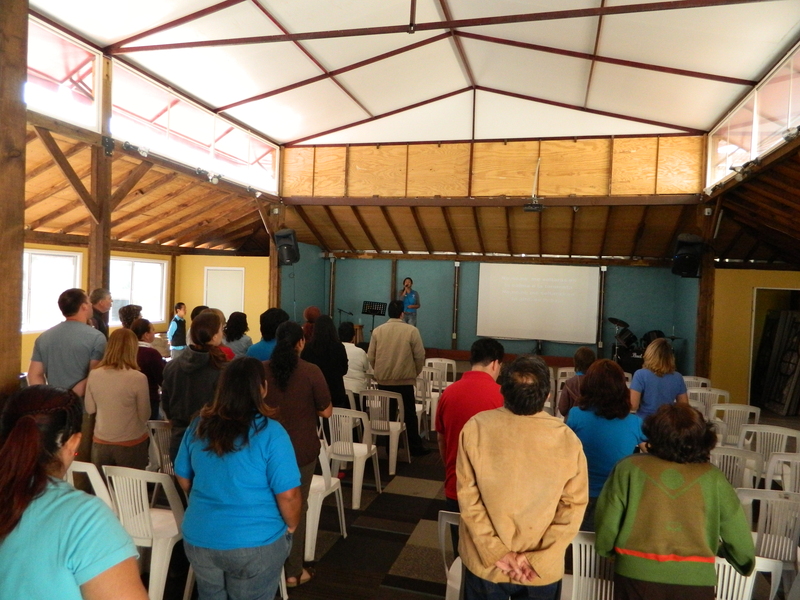 Mosaico began Sunday morning celebration services on January 22, 2012 with 57 people. But really it was a good ole Mexican fiesta where we cast the vision for what Mosaic is and what we feel God leading us to become. Please continue pray that God would be praised and many would come and form part of Mosaico. 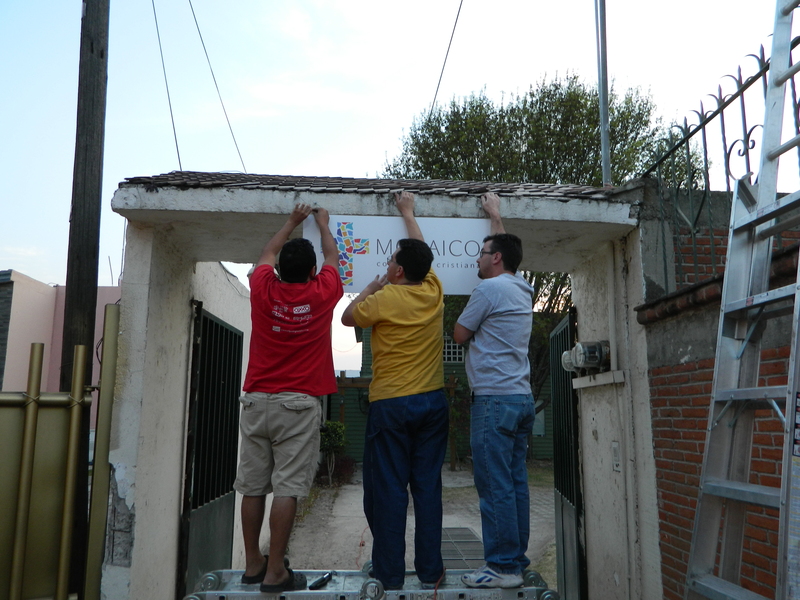 How many Mexicans and Gringos does it take to hang a sign? I'm gonna upload some more pictures to facebook so you can check them out there too. And, if you are interested, sometime soon we should have www.mosaicopuebla.org up and running. Check it out. 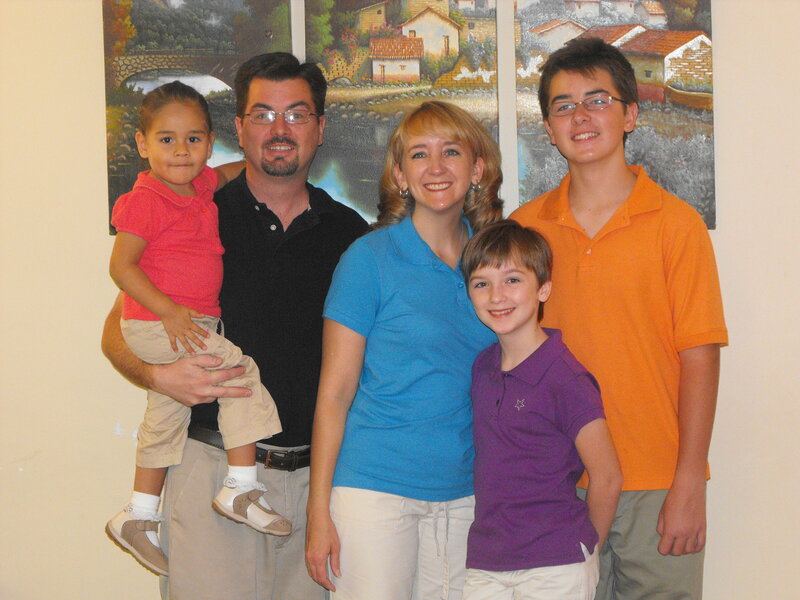 The purpose of this webpage is to give you picture of what God is doing through the ministry of Todd and Tonja Hancock. We will do our best to update it as often as possible. Please send your comments and messages to Todd@mexicohancocks.com We would love to hear from you.